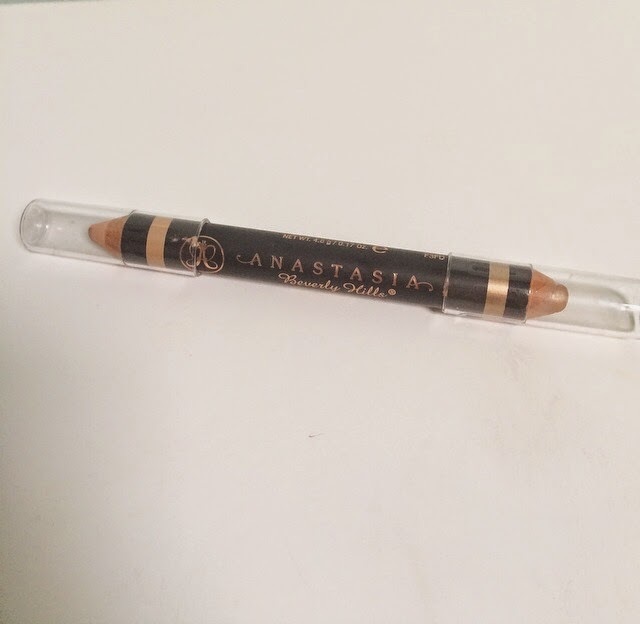 A couple of people have asked me to do a review on the new eyebrow products that I got a few weeks ago. I did mean to do this sooner, but I got totally sidetracked and forgot all about it! 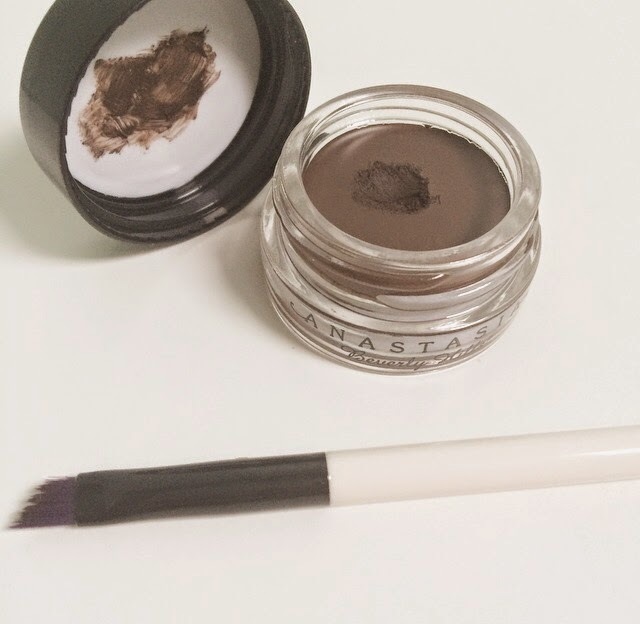 Ok, so I had first heard of the Anastasia Beverly Hills DipBrow Pomade from my friend in Australia, but I was so in love with my Benefit BrowZings kit that I never really looked into it. I always seemed to be using the wax/gel a lot quicker than the powder in the kit and would end up with only the powder left and not being able to use it at all. So when I seen that SoSueMe had done a review of this I had to read it and it seemed amazing, just what I was looking for- a wax/gel based product for my brows. It came within 3 days and I was so excited to get using it. I followed SoSueMe in her way of using it and it was great. I always would have started with the front of my eyebrows and worked into the ends, but with this she has recommended always starting darker in the middle and ends and then doing the front of your brows last & slightly lighter - I really feel it makes a difference, as it isn't as heavy looking, it's a lot more subtle but still gives you a great defined brow. The pencil is amazing, actually so amazing! 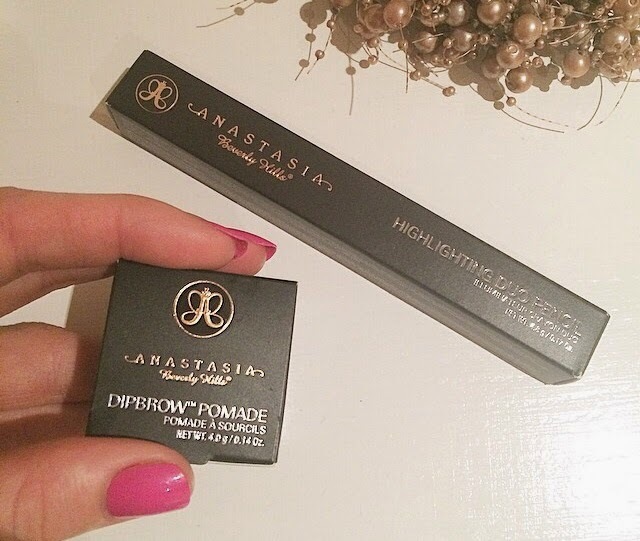 I love highlighter, especially with yellow/gold undertones, so for me this colour is perfect! The pinky matte side I use for during the day to tidy up and subtly highlight, then for night time I switch it around and it gives such a beautiful glow under your brow! I ordered the DipBrow Pomade in Chocolate and the Highlighting Brow Duality Pencil in Matte Shell and Lace Shimmer.